Fifty years after the Planning & Conservation League was formed over concerns about the environmental consequences of urban sprawl, one of California’s most respected—and most successful—defenders of the state’s natural resources remains focused on what’s still missing from the state’s climate and growth plans, and how to fix it. The challenge, for groups like PCL and the California Economic Summit, is crafting the right land use policies—and, just as importantly, the right incentives for local governments—to push California communities toward smarter, and more sustainable growth. Participants discussed a range of solutions at the event, “The Future is Now: Moving on Land Use, Water, and CEQA,” from cap and trade program improvements to potential updates to SB 375. Many of the ideas discussed align closely with the Summit’s own 2016 Roadmap to Shared Prosperity, which highlights a package of sustainable growth proposals that would meet the “triple bottom line”—promoting economic development, improving environmental quality, and expanding opportunity for all. Several Summit leaders were invited to present new thinking about how to design—and pay for—sustainable water projects, in particular. The Summit Roadmap outlines plans to support regional efforts to conserve, capture, and re-use as much as 1 million more acre-feet of water each year. As the last few years of drought have exposed the shortcomings of California’s water systems, the Summit has focused on providing more communities with the tools they need to move toward self-sufficiency. Judy Corbett, the founding director of the Local Government Commission and one of the leaders of the Summit’s Working Landscapes Action Team, is spearheading Summit efforts to integrate local land use planning with new agencies being formed as a result of the state’s Sustainable Groundwater Management Act. In the next two years, the Summit will also be supporting efforts in several regions to adopt the successful SAWPA model, continue to integrate water management systems across city, county, and water district lines—and take advantage of new financing authorities available through the Enhanced Infrastructure Financing Districts (EIFDs) created in 2015. To create truly sustainable water projects, the Summit is pushing more regions to align the “geography of governance,” as Gardiner puts it, with natural water systems. 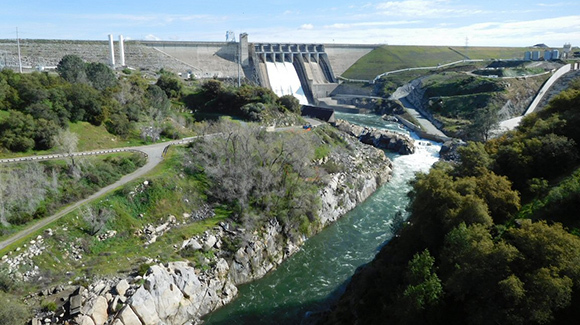 This means finding ways to integrate the resources of cities, counties, and water agencies to manage projects across watersheds and support next-generation technologies for recharging groundwater basins and capturing stormwater—projects that often require coordination across existing city or water district lines. “These authorities could really be the keys to the kingdom,” said Elizabeth Patterson, the mayor of Benicia, a city that once depended on a local river for its water supplies but now receives 85 percent of its water from the State Water Project. “Developmentally, they give us a way to move to the next stage,” agreed Cantú, who has used an existing joint powers authority to support SAWPA water projects in the past, but who believes EIFDs may offer even more financing options. Participants in the symposium were invited to identify watersheds or groundwater basins where this effort could make progress in the coming year. They were also asked to join the Summit itself, a unique coalition of environmental, business, civic, and equity groups working together on some of the state’s biggest growth challenges. Stopping sprawl, promoting better land use, and preserving California’s water resources will depend on it.